Tierra Educational Center hosts special fiestas throughout the year celebrating various traditional Mexican and Latin American holidays. 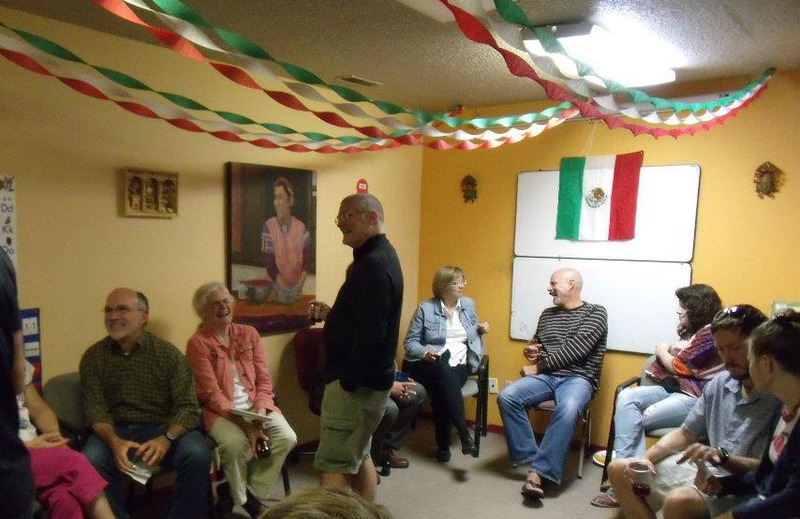 Past events have included celebrations for Mexican Independence Day, Cinco de Mayo, Dia de Muertos, Dia del Amor y la Amistad, and Christmas Posada fiestas. 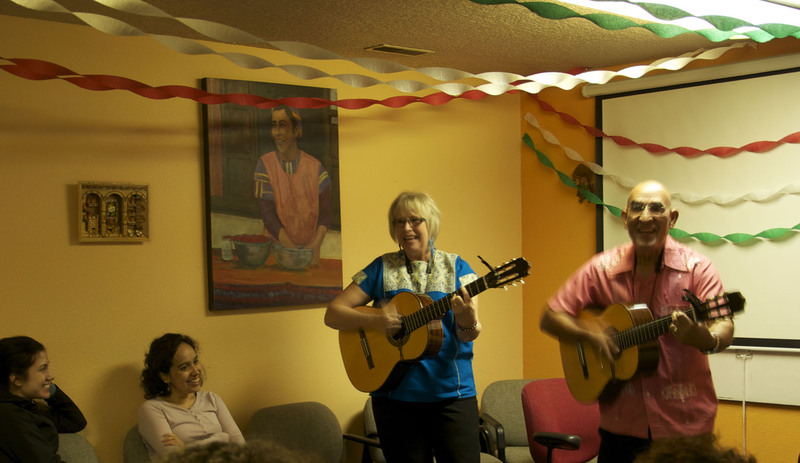 Live traditional holiday music, food, and decorations set the background for fun Spanish conversation for all levels of Spanish language learners and native speakers. These events provide an opportunity for our staff to share the historical and cultural traditions of their native countries with students and community members in a relaxed social setting. Bring your family and friends, along with a food or beverage contribution or a suggested $5 donation to help cover overhead costs. Sign up for our e-newsletter and like us on facebook to get the latest updates on our upcoming community events.